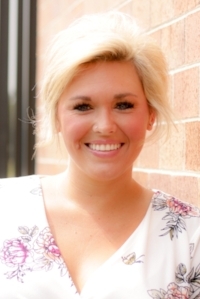 Receiving her Master's Degree in Community Counseling from Creighton University in 2013, Kaylea holds extensive experience working with adolescents with mental health issues and their families. She is skilled at working with her clients on setting attainable goals by deliberately focusing on positive thinking and implementing new, healthy behaviors into their lives. Kaylea structures her therapy with positive energy and humor. Kaylea enjoys working with couples and families. Kaylea's areas of specialty are anxiety and depression, emotional health, family therapy, trauma treatment, adolescent behavior issues, and substance abuse/dependence. Kaylea became a therapist to help people navigate their complex worlds in order to live a healthier, happier life. She believes in a holistic approach to health; that all components of ones' life are interrelated. Kaylea is an avid animal lover, and enjoys spending time outside with her family. Click here to schedule an appointment with Kaylea.